Around high, scenic Khumbu valley. fascinating experience with Island / Imjatse Peak Climbing. close views other high mountains. Island / Imjatse Peak Climbing. Island / Imjatse Peak Climbing, leads you to fascinating experience with the adventure of a lifetime, where you will be hidden in between series of mountains, that encircles Island peaks by world highest Mt. Everest-Lhotse-Lhotse Shar-Nuptse-Ama-Dablam as far to Mt. Makalu. Truly a memorable and enjoyable adventure of two weeks duration which captures your dreams and imagination on this marvelous Island Peak climb, where our guides will lead you with full support all the to the top and back safely down. island / Imjatse Peak Climb starts from Sherpa town at Lukla after a short flight from Kathmandu and then heading to our ultimate destination, where walk leads into a lovely Sherpa village full of traditional culture. 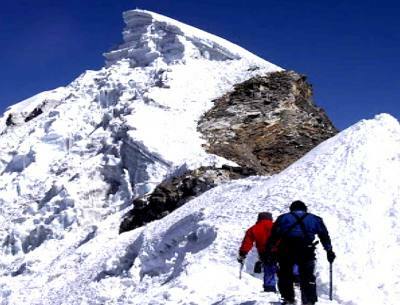 Island peak climbing is one of the beautiful trekking Peaks in Khumbu region. 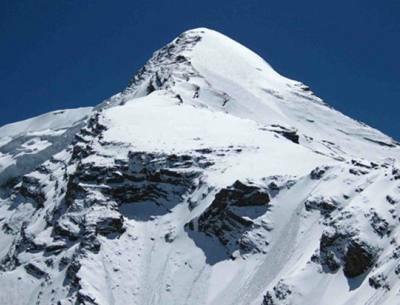 Island Peak climbing can be combined with Everest Base Camp, Gokyo Lake with Cholapass trek. 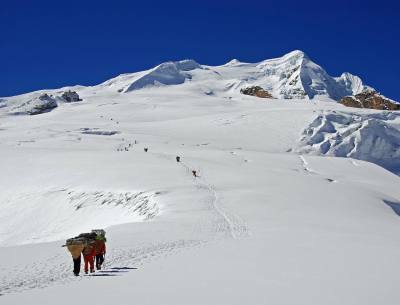 Island or Imjatse Peak Climb is an adventure of the 6187 meters summit above the sea level, lies in the northeastern Himalaya Nepal. Walk enters beautiful alpine cool forested areas with constant views of surrounding peaks all along the journey to Namche Bazaar, an interesting and lively village with rest day here then heading towards our main goal to Island peak which towers above beautiful and scenic Imjatse Valley. 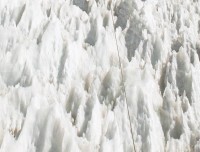 our climb graded as PD + which means Per Difficult in French / Swiss Alpine Climbing Classification leads you into ice –moraines and glaciers with some technical effort to reach the summit top. On achieving our highlight with much-awaited adventure facing sweeping panorama of mountains that circles you on top, and then heading back safely to base camp and onward to Lukla for the short-scenic flight to Kathmandu with fond adventurous memories on Island / Imjatse Peak Climb. Fly Kathmandu to Lukla 2600m - 40 mins And Back to Kathmandu. 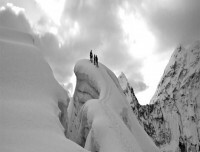 Adventure on beautiful Imjatse valley with the ascent on top stunning Island Peak. Adventure of a lifetime experience on top 6,189m/ 20,305 ft high Island peak. Highest altitude 6,189m/ 20,305 ft high on top Island Peak. 2In Kathmandu sightseeing tour at places of interest and trek preparation.Morning after breakfast leave for our exciting cultural and historical tour around Nepal's best World Heritage Sites which includes old Durbar Square (Palace Courtyard), Old Swayambhunath Stupa and other places of interest with time for next day trip to Island Peak preparations. 3Fly to Lukla 2,820 m and walk to Phakding 2,640 m - 04 hrs. Morning depart from the hotel for fabulous adventure to Island Peak Climb, taking a short scenic flight of 30 mins with sweeping panorama of high peaks including Mt. Everest, as the small aircraft lands at Lukla of above 2,820 m high, from here walk towards Phakding on gradual downhill trail with short ups with views of Kwangde and Kusum-Khanguru peaks as the walk leads through Choplung and Ghat Sherpa villages to reach our overnight stop at Phakding. Phakding village, located above Dudh Kosi River here with time for short hike around this lovely village to witness Sherpa cultures with overnight halt in a nice cozy lodge. 4Trek to Namche Bazaar 3,440 m - 05 hrs walks.After a pleasant night stop with the sound of river, morning walk leads following the Dudh Kosi River upstream and crossing suspension bridges to reach at Monjo village with grand views of Kwangde and Tharmarserku peaks, from here into Sagarmatha National park (Sagarmatha Nepalese name for Mt. Everest, while Sherpa calls Chomolungma in both languages means 'Great Mother'). Walk proceed towards Jorsalle village and into river valley covered within rhododendron-pines-oaks and fir trees as the route leads uphill for few hours to reach at famous Namche Bazaar, where colorful and busy Saturday market is held weekly. 5Rest day at Namche for acclimatization and local hike.An important rest day for proper acclimatization before heading higher elevation, at Namche one can take a short walk to Everest View Hotel of few hours walk uphill or visit the park museum located on top of Namche Bazaar offers grand views of Mt. Everest-Lhotse-Amadablam and other series of snow capped peaks. visit its interesting museum full of information regarding Sherpa people, culture with flora/fauna and as well of mountaineering history, rest of the afternoon free at leisure with views of mountains. 6Trek to Thyangboche Monastery 3,867 m - 05 hrs.With marvelous stop at Namche Bazaar, morning with short steep climb and then on pleasant winding trail into alpine woodland with super views of Mt. Everest-Lhotse-Nuptse-Amadablam with other smaller peaks, as the walk continues heading downhill at Phunki-Tenga, a small place by the Imjatse River for lunch. after lunch with few hours climb into serene alpine forest filled with rhododendron-oaks-magnolia-pines-juniper and fir tree lines with constant view of peaks, finally walk leads on a small plateau at Thyangboche Monastery the highest spot of the trek at 3,867 m high offering mind blowing views of Mt. Everest-Amadablam and arrays of peaks that surrounds this lovely spot. Here with time to visit it's interesting and famous Buddhist monastery, where in October a great festival Mani Rimdu is held and as well mountaineers takes blessing from the priest for safe and successful climbs. 7Trek to Dingboche 4,360 m - 05 hrs.From Thyangboche after catching morning super panorama of mountains and then head downhill through serene woodland reaching at a metal bridge over Imjatse River, from here with uphill walk to Pangboche, the last permanent Sherpa farm village before Everest base camp, as our walk leads to Somare for lunch with super views of Amadablam at close distance, and then heading on gradual path with short climb to reach at Dingboche within beautiful and scenic Imjatse Valley. Dingboche at 4,360 m located within beautiful valley with views of Amadablam including Lhotse and stunning Island Peak with Taboche and Chotalse peaks, Dingboche with many fine lodges. 8Trek to Chhukung 4,730 m from Dingboche 4,360m - 04 hrs.Morning walk leads past Dingboche offering great views along the trek heading east and close to Island Peak, which is also called Imjatse Himal due to its location around Imjatse valley. Our route takes you on near level ground with fabulous views during the walk all the way to Bibre a small settlement, after a short rest continue walk towards further east for overnight stop at Chhukung, a small place with few lodge to cater the needs of the trekkers and climbers. 9Trek to Island Peak Base Camp 4,970m - 04 hrs. After a wonderful stop in cozy lodge at Chhukung, today onward for few days in tents camping for few nights till the climb is done, morning walk leads to our main highlight and goal to Island Peak base camp located in a scenic spot at Parshya Gab, here setting our camps with afternoon free to practice climbing with our expert guide. 10Trek Island Peak High Camp 5,400 m - 04 hrs.Our real adventure begins heading higher to pitch high camp at above 5,400 m high which will make the climb to summit of Island peak much easier and accessible, morning leaving from base camp to high camp of Island Peak also called Imjaste peak due to its location, as the climb leads above moraine then towards open gully leading between two well defined ridges to reach at high camp beneath a small hanging glacier at 5, 280 m high, here with time in the afternoon for final preparations for the big climb next early morning. 11Climb Island Peak - 06 hrs. The climb of Island peak reaches you at above 6,160 m / 20,328 ft high, where grade listed as PD + taken from French and Swiss Alpine Climbing System, which is one of the most popular grading system world-wide. On this final and Big Day! 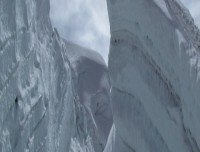 Start early morning before dawn as our guide lead you across a broad open gully, following snow-covered glacier, avoiding serac and crevasses climbing northwards over snow covered scree in the margin between a glacier facing a top ridge. Climb continues crossing a gully with some stone and icefall dangers, a steep snow and ice ramp takes you above 100 meters (300ft) to the main summit, on reaching the top where your adventure of a lifetime experience with great dreams accomplished into a successful climb with amazing panorama of Mt. Everest 8,848 m, Lhotse 8,501 m, Mt. Amadablam 6,856 m, Mt. Makalu 8, 463 m, Chamlang and Baruntse peaks, after a great climb feeling high spirit descend on the same route towards base camp. 12Reserve and contingency days in case of bad weather.We have spare day to adjust with the climb as contingency day just in case of bad weather, if all goes well according to our standard itinerary, this spare day can be used with slow and scenic walk back to Lukla having some short day on route, where you can enjoy the views and local culture during the trek. 13Trek to Pangboche 3,985 m - 06 hrs.After a an enjoyable and exciting climb, morning long walk to Chhukung and then heading down towards Dingboche, on leaving beautiful Imjatse valley with downhill walk towards Pangboche village for overnight stop. 14Trek to Namche Bazaar 3,440m -06 hrs. From here onward long descend to the bridge, after the bridge back into greens and tree lines as the route climbs up to Thyangboche Monastery, with downhill walk to Phunki Tenga on crossing a wooden bridge climb uphill to Lobesa and Sanasa small villages with gradual winding path to Kyanjinma. A beautiful spot with few lodges facing Everest-Amadablam and Tharmarserku peaks, here chance of spotting some wild life like Thar, Musk deer and the colorful Danphe (Impeyan pheasant and national bird of Nepal). from this peaceful spot walk continues for another hour on pleasant winding path to Namche Bazaar for overnight stop after a great day walk. 15Trek to Lukla - 04 hrs. After a wonderful time on high Khumbu valley with climb of Island peak morning depart from Namche Bazaar as the walk leads to a long descends towards Dudh Kosi River as this scenic walk leads within lovely alpine forest and then reaching at Monjo, from here walk leads on the same route following gentle path past Phakding and Ghat villages with an climb to reach at Lukla, where you can enjoy the afternoon relaxing and celebrate with staff-guides-porters and fellow member on this last night around high Khumbu within Everest areas. 16Fly back to Kathmandu afternoon free at leisure.After a fabulous time around world's highest Khumbu and Everest region with climb of Mera Peak, morning a scenic and exciting flight brings you back at Kathmandu, on reaching Kathmandu after a short 30 mins flights, transfer to your hotels with afternoon free at leisure or last day shopping souvenirs and handicrafts. 17Spare and free day in Kathmandu.We have reserved this as contingency day in case of flight delay or problem with the bad weather during trek and climb on Island Peak, if all goes well as per the itinerary enjoy this day relaxing and sorting the climbing and trekking gear with tour options around Kathmandu. 18International Departure for Homeward bound.As per your international flight time transfer towards Tribhuvan International Airport for the journey back home or to respective destinations after a super and amazing time in Nepal Himalaya on Island Peak Climb. climbing equipment's cargo to Lukla. I had a group of 15 people and getting trough i found out reasonable treks and tours. Mr.Anil , owner of the company , is the who made out trip in Nepal successful. We did mountain flight, seight seeing around kathmandu pokhara and safari in chitwan. 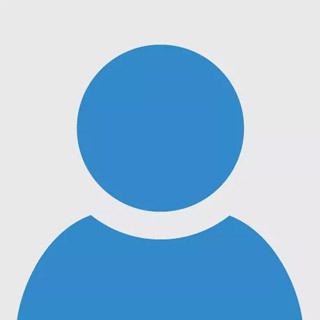 When you book through this company dont worry coz Mr. Anil will organize every single thing for you. Our Trek to Island peakwas Successful and we are really glad for the support and arrangement of all the reqired things Mr. Anil did for us.I would Definately come here with another group. And would also highly recommend. We climbed Island / Imjatse Peak Climbing, With Reasonable Treks And Tour/Anil Dhungana provided we Very helpful and professional assistance in planning for Island / Imjatse Peak Climbing, he’s is Organization for 18 Days Island / Imjatse Peak Climbing, Mr. Anil He is Recommendation climbing Guide Nigma Sherpa and porters were very friendly and they adapted the trip to our wishes. We take a lot of photo during climbing times We did it the Wonderful and amazing experience to reach the Top at Island / Imjatse Peak Climbing, Guide Nigma he gives to everything information details on the way I Show village and mountain. Really enjoyed the climbing in Nepal, Thanks to our Guide Nigma Sherpa also porters, we want to highly recommend this company and staff for other travelers. Thank you so much, Mr. Anil, we really happy for your Trip. We will back Next Time! !